Let’s hear it for flower power! Our friends at Kiehl’s introduced us to their latest creation in their fabulous line of skincare products. 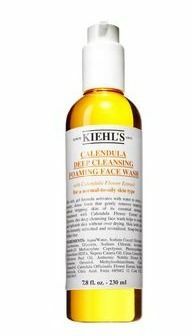 Calendula Deep Cleansing Foaming Face Wash is a soap-free cleanser that gently removes all the grime that your TrailblazerGirl activities generate. Calendula oil is extracted from the marigold flower and has soothing properties that make it ideal for a cleansing product that will not irritate your skin. A small amount foams up nicely and leaves your face fresh and clean – no icky film or oils sticking to your skin. The magic of flowers!